Solid foundations are what you need – especially in the construction business. To create a next-generation portal for first-time buyers and investors. 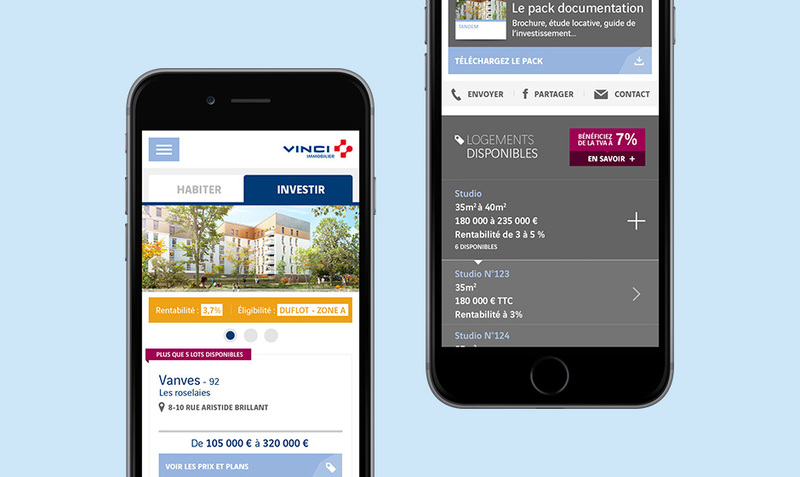 The aim is to boost the reputation of VINCI Immobilier’s programmes, to expand its customer base and to gather information to help it assist potential home-buyers. To help VINCI Immobilier, a subsidiary of VINCI Group, to capitalise on the opportunities of digital in its sector, as part of a wide-ranging strategic reflection process covering both internal and external aspects (from cross-channel customer relations to distribution network). 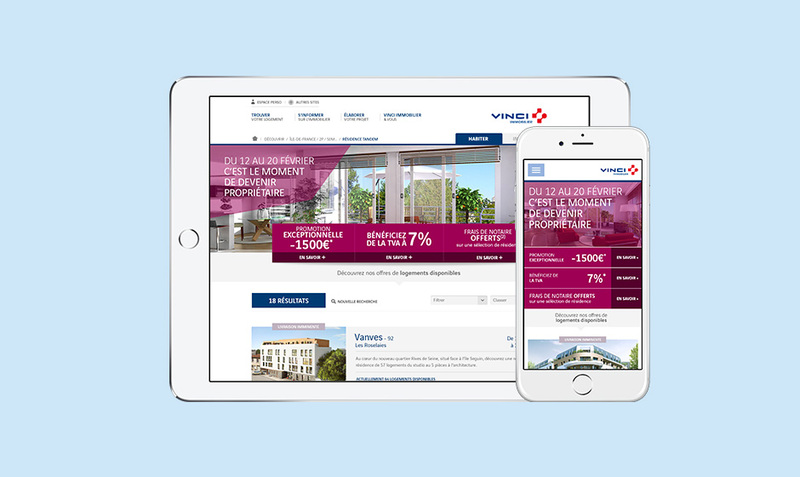 We carried out in-depth research for VINCI Immobilier, looking at different ways for it to enrich its offering through digital technologies, such as interactions in the street, digitisation of the sales office, creation of a national portal to showcase its offering, potential partnerships (banks, brokers), and CRM before, during and after delivery. 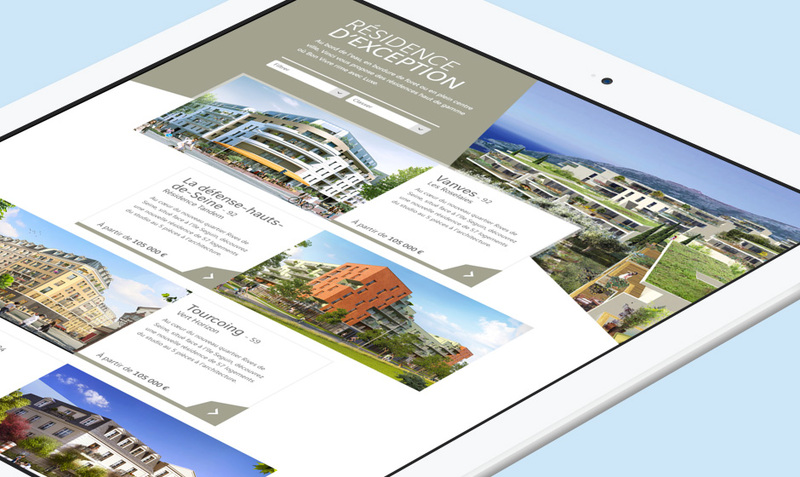 The first component of this digital system was to create a web portal showcasing all VINCI Immobilier developments. The website, an essential CRM tool, is often the first touch point with potential buyers, offering an insight into the brand using digital technologies. Available 24/7, it offers answers to frequently asked questions, explains how the process works and provides information about the complexities and timings of a development project. Once our proposed design was approved, we handled the integration and development phases, working with VINCI Immobilier's CIO in the interest of continuity. Understanding customers’ needs To create a site that customers would find useful, we first needed to understand their needs. We therefore studied their behaviour and identified the elements of the customer journey, giving us key insights into aspects such as advice, reassurance and urgency at different stages of the development project, as well as individual needs and expectations. We created 80 advice fact sheets, which can be accessed at any time, showcasing VINCI Immobilier’s expertise. A paperless customer area At the bottom of every page on the website is an assistant feature that allows customers to monitor the progress of their project. This smart reminder function gathers information and updates customer records automatically, so that the brand is able to adapt its communication strategy to the needs of potential customers. Creating a flagship digital portal for the brand We overhauled the structure of the interface content to make it more user-friendly for all profiles, and to enhance the customer experience. We opted for an inspiring appearance that reflects the luxury image of the brand, with a light, artistically appealing design, large and generously proportioned visuals, and videos that give customers a virtual tour of developments before they are built. The brand’s properties are showcased via a “digital” shop window, rather than in a more promotional light. Increasing visibility We focused on search engine optimisation, ensuring that the portal stands out among a highly competitive field. We also opted for a responsive-design website so that users could access it seamlessly via PC, tablet and mobile. A clear, immersive portal that can be accessed on all devices, designed to help potential buyers manage and experience their development. 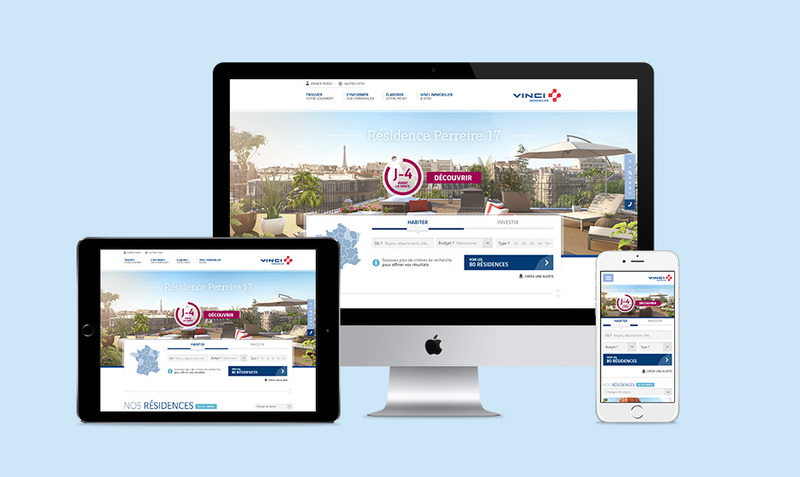 With our overhauled and improved digital presence, VINCI Immobilier is making life easier for its customers. We’re absolutely delighted with Niji. They were the committed partner we needed. It was a true partnership. This is the first project of a longer-term customer-centric product and service strategy, in which digital technologies will continue to play an essential role. We completely overhauled the Lille-based football club's online and mobile presence, enabling fans to keep in touch with their favourite team at all times. We overhauled the design and delivery of the customer area on mobile and tablet. We also designed and integrated online insurance policy purchase journeys (motor, buildings and contents, medical). 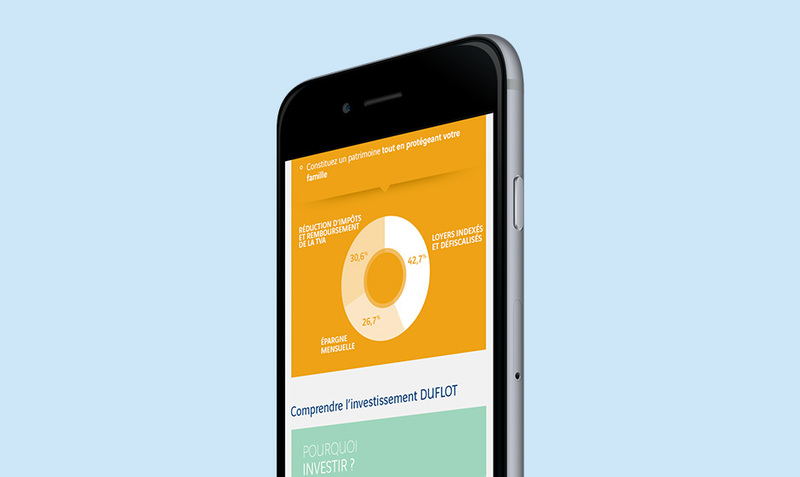 We overhauled the look and feel of a mobile app for Natixis Interépargne, allowing users to track and manage their employee savings account. 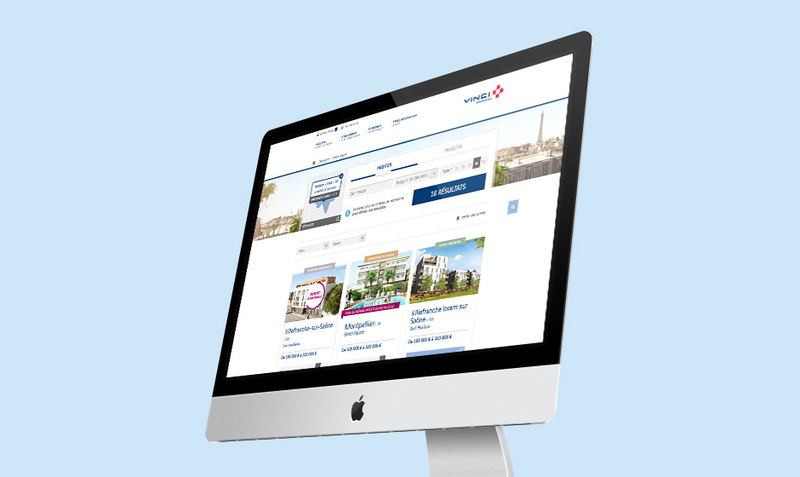 We also carried out a series of digital projects (website, apps) for Natixis Group. We provided consulting services to help our client define and organise digital services to enhance the passenger experience (before, during and after travel).